Tellerreport.com states "The food cart, baptized as 'Motherfruckers', contrasts with the nearby poster of the Divine Providence and the giant card of 'Jesus, I Trust in You' .... "We all trust Jesus in these times of uncertainty," says. Eamonn (the proprietor) "It has given me luck and protection for my business, which is in a strategic and very visible place on the Northern Irish side". 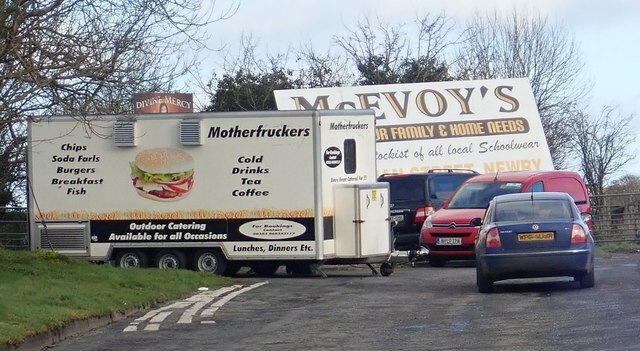 "If the (border) controls return, the business is over", warns the friendly cook of 'Motherfruckers'.